When Stevie Stone joined the fans for a special all-night UStream, he promised there would be surprise appearances and perhaps none was more memorable than when Krizz Kaliko took over for one of the night’s funniest segments. Celebrating the release of Rollin’ Stone, Stevie Stone and the Strange Music crew spent the night answering fan questions. 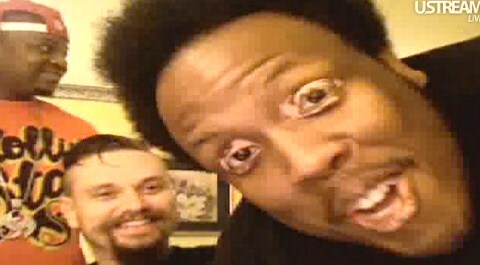 When Krizz Kaliko dropped in though, the script went out the window. What did you think of Krizz Kaliko’s appearance? Did you catch the UStream live?